We get lots of questions emailed to us every week. We thought we would put together a list of frequently asked questions to help those of you looking for information about sustainability in Kentucky. Q: I am looking for a sustainable farm to purchase _____________, near ___________, can you make a recommendation? There are many, many great Kentucky farmers who are in the business of producing sustainable food, whether it be meat, eggs, vegetables, herbs, mushrooms, milk, honey, etc. It is outside the scope of this website to maintain an inventory of who is selling what, where they are selling it, and whether or not their agricultural values line up with our own. If you email asking about a farm in a certain area, we most likely will not make a recommendation. Instead, we will direct you to this blog post: How To Find a Sustainable Farm in Kentucky. You can also check out our map of articles that we’ve written to see who we’ve covered close to you! Q: I am looking for volunteer opportunities related to sustainability in my area. Do you have any recommendations? Love hearing about Kentuckians looking to put their green skills to good use by making the world a better place to live. Check with your local extension office or library. Bluegrass Pride is a statewide organization devoted to cleaning up the beautiful Bluegrass! If you are interested in political action, try Kentuckians for the Commonwealth. In Lexington, Faith Feeds is a great organization as well as Seedleaf. In Louisville, there are volunteer opportunities available through the Olmsted Parks Conservancy. Community Farm Alliance is a statewide organization working on behalf of small farms and they could always use a lending hand! If you want to try out the farming life on a more full time basis, check out WWOOF for opportunities on Kentucky organic farms. Have a Kentucky organization looking for some volunteers interested in gardening, community, and feeding the hungry? Email me at info@sustainablekentucky.com and we’ll add you to the list! Q: My area has no farmers market, or the one we have is poorly managed. What can I do to start a farmers market or improve the current one? This is getting to be a more and more common question! We all want to live near a great farmer’s market, but it is hard work to get one up and running or revive a dying one and bring it back to life. We’ve written a series of interviews with Kentucky farmers markets (with more coming soon) that may be helpful to you. Our best advice, however, is to keep shopping your market regularly and encouraging your friends to do so as well. Business is what makes a market grow! Q: Can you recommend my sustainable business/event/website? Events, yes. We keep a calendar of events related to sustainability throughout the Bluegrass. Please note that listings are completely subject to our approval and space allocations. 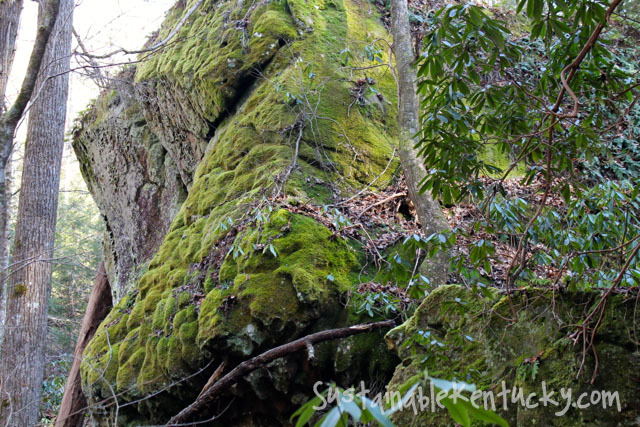 Drop us a line at info@sustainablekentucky.com and we will get it on the calendar. From time to time, if an event really fits with the values and interests of our readers, we can do some fun promotional ideas that will give your event increased exposure (including ticket giveaways, etc.) Contact us if this might interest you and we will see what we can work out! We are always excited to hear about new Kentucky businesses and farms that carry out sustainable practices. While we cannot promote everyone that contacts us on the site, we still want to connect with you, so drop us a line. Q: How do I start and/or support the local foods movement in my area? Why, we’ve dedicated an entire post to just this topic!